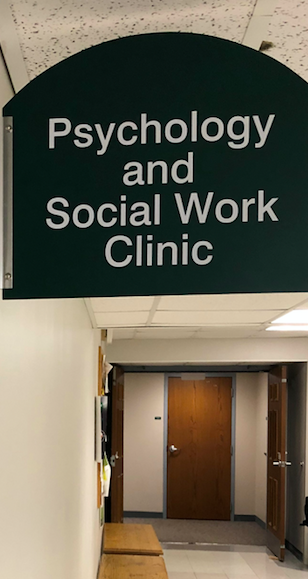 In recent months, OHIO’s Psychology and Social Work Clinic has broadened the scope of its services and amended billing policies to serve the changing needs of its clients. The clinic offers an array of services that are available not only to students but also OHIO faculty and staff, in addition to the residents of Athens and the surrounding area. Clinicians provide not only individual, couples and marital, family, and group therapy sessions but also a range of screenings and testing for issues such as learning disabilities and ADHD. Group therapy, for example, takes place in 10- or 12-week sessions, with topics rotating based on clients’ needs and clinicians’ areas of specialization. Psychological evaluations include testing for dementia, traumatic brain injury, cognitive changes, and neuropsychological concerns. 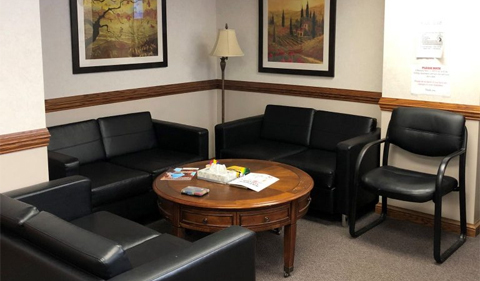 Megan Austin, Ph.D., OHIO Lecturer and Director of the Psychology and Social Work Clinic, notes that clients from the Athens community are sometimes surprised to learn that the clinic offers treatments for children ages 3 through 18. “Several of our staff members are experts in ADHD and behavioral concerns. They offer assistance to parents, including child behavioral management and training,” she explains. The clinic’s staff members also work collaboratively with children’s teachers, parents, and school systems. This includes attending Individualized Education Plan meetings with parents to help advocate for children with learning disabilities or other special needs, Austin explains. When clinicians, parents, and teachers work collaboratively, they are often able to create a personalized treatment plan that helps a child thrive in school. A key component of the clinic’s mission is to train doctoral students in various methods of assessing and treating psychological conditions and disorders. In turn, psychology department faculty and students can use this experience to inform their own clinical research and projects. Some students, for example, are researching the effectiveness of therapy outcomes and therapeutic relationships. The result is a mutually beneficial arrangement that grants students hands-on experience and allows clients to receive needed treatment. “When we have a clinical research project happening in the clinic, clients are able to determine whether or not they want to be part of that research,” Austin states. “Consent is key, even though all clients are de-identified,” she adds. All graduate students who provide treatment work under the supervision of licensed clinical psychologists, and they receive clinical training in the clinic over the course of at least four semesters. This allows them not only to learn from their faculty supervisors but also to apply practical skills from their academic coursework. “At the Psychology and Social Work Clinic, we emphasize service, education, and evidence-based treatment and principles. We attempt to provide a necessary service for our underserved area. Our goal is to train well-educated and informed clinicians and to help the community on an ongoing basis,” Austin states. In the past, the Psychology and Social Work Clinic offered services for personal counseling on a sliding scale fee. However, they have now moved to a system in which they bill insurance for all clients, though they do also offer private pay options. “In this transition to billing insurance, sessions now cost $90 per hour. Eligibility checks are necessary for each insurance company to determine benefits and client liability, which differ from one insurance provider to another. However, clients can do some work in advance, including calling the number on the back of their insurance card or checking their benefits online to see what their coverage is for psychological evaluations and counseling and therapy,” Austin states. “Of course, we are happy to do that for people as well,” she adds. In order to receive treatment, clients must confirm that they have insurance, and the clinic advises checking their copay and/or deductible.